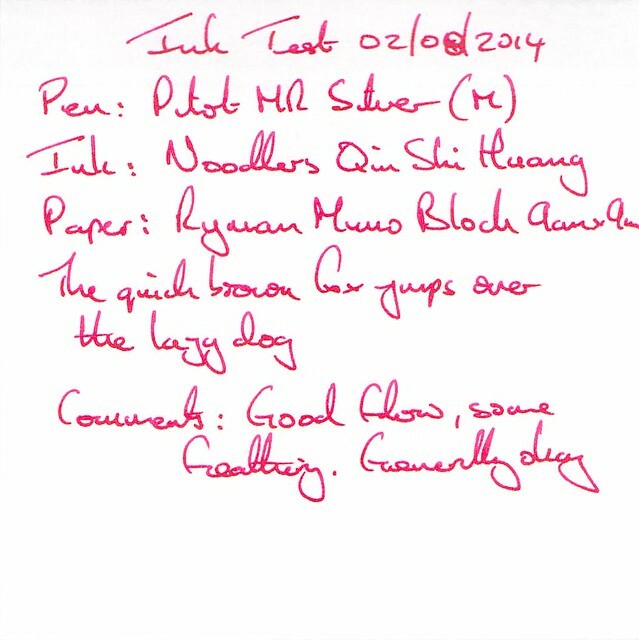 The next in this batch is a bit of an oddity – a ink of the colour seen on the terra cotta warriors of China. It also reacts under UV light, although I have no means of testing that at the moment. 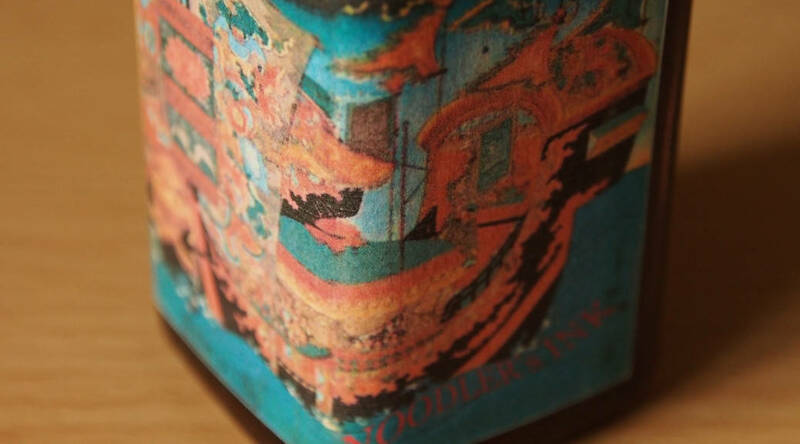 The video also gives details of the intricate label and showcases the UV properties, so I won’t attempt to describe those any more here either. Yes, it’s been a long week and I’m feeling tired. This 3oz bottle was ordered through a US website, not my usual Ebay supplier. The bottle itself cost $12.50 but the slightly higher than usual shipping cost pushed it into the moderately expensive category. The bottle and box were the standard 3oz combo. The test pen on this occasion was a Pilot MR with a medium nib. 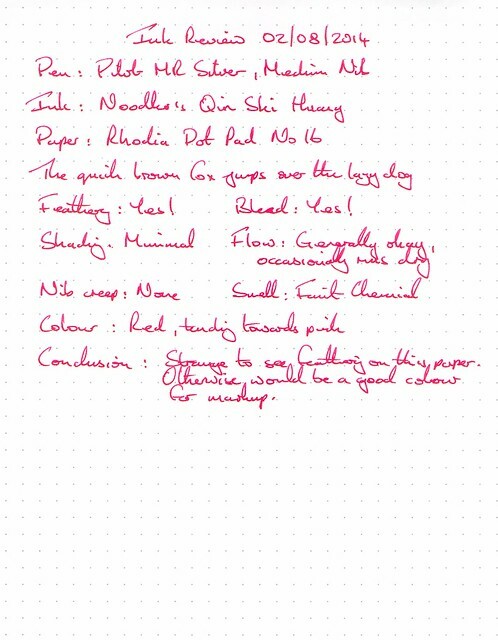 Water resistance was limited and handwriting was obscured by the droplet test. Cleaning was slightly trickier than normal with residue hanging around in the feed longer than usual. I wouldn’t call it difficult though. Drying time was quick at less than 10 seconds. 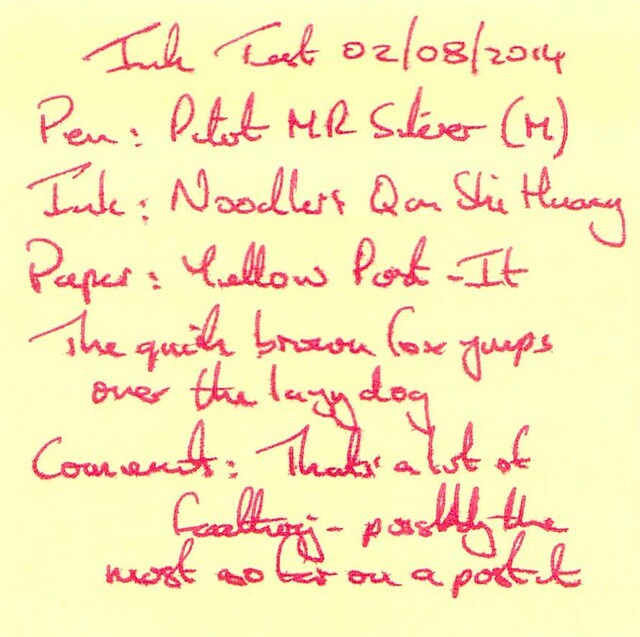 This ink feathered on Rhodia, which is unusual – not to a great extent but it is there. There was also some bleed through. Otherwise performance was okay, except for some occasional dryness. 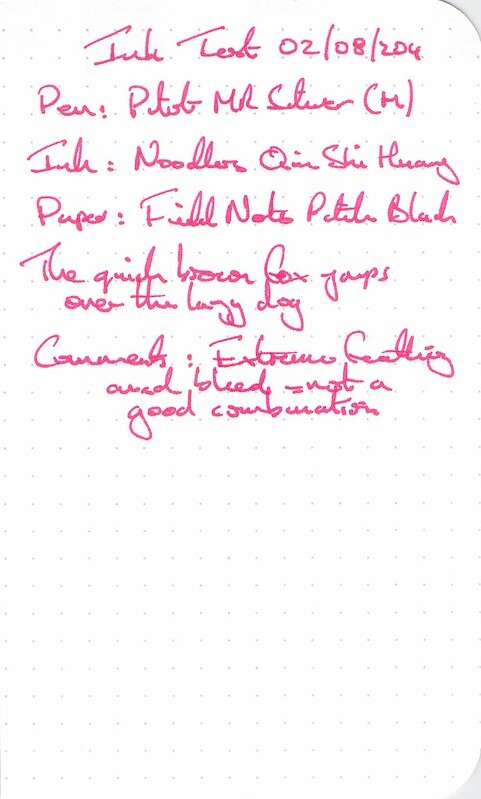 Oddly to my eyes the ink looks a little redder than on some other papers, although the scan doesn’t show it, and it’s still too pink for me. In fact all the scans look pinker than in reality. Performance was okay, but still some feathering. 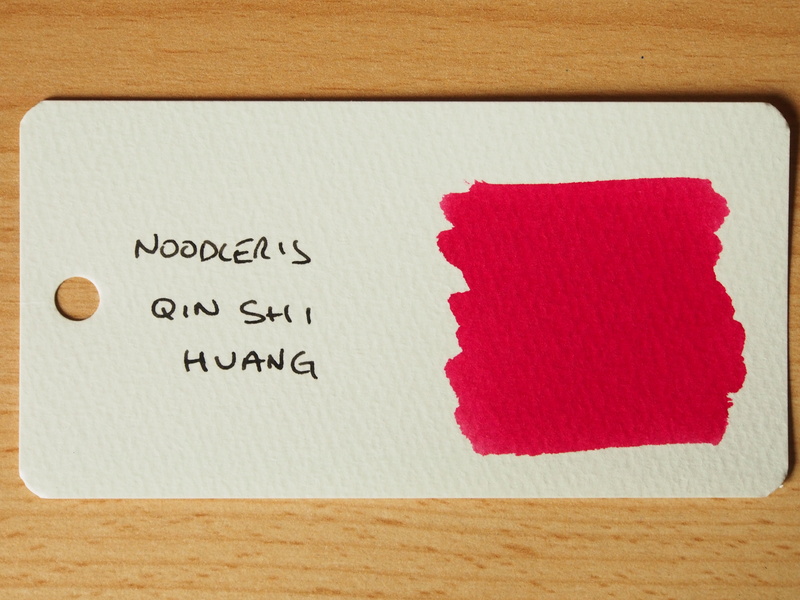 Even the Word Card photo looks slightly pinker than in reality. 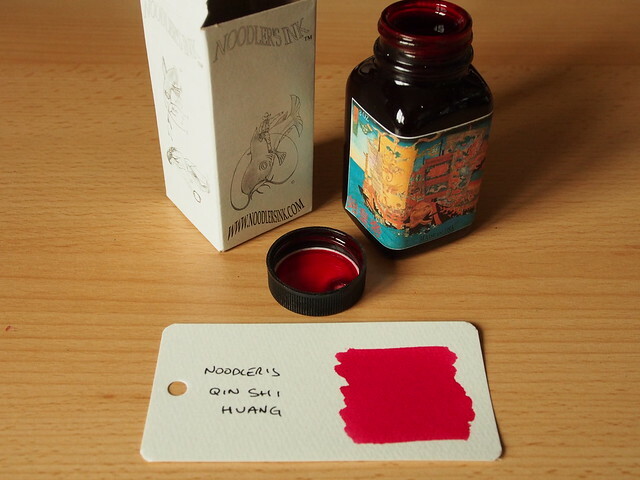 This ink is just slightly too pink for my taste. While it would otherwise be good for markup the feathering even on high quality paper limits its usefulness. Maybe one to play around with more when I have some spare time – and a UV light.